A glimpse into life at triyoga, featuring our remarkable teachers, staff and students. The film captures dynamic practices such as Vinyasa Flow, Ashtanga and Jivamukti as well as restorative, hot yoga, pregnancy yoga and so much more – all within spaces where everybody is welcome. 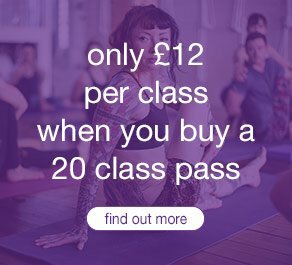 Whether you’re a yoga beginner or an experienced student, we wanted to show that yoga can take many forms and that there really is something for everyone. We hope our film inspires more people to discover yoga for themselves and find a practice they love. Want to find a yoga practice to suit you? Click here for our guidance on how to get started at triyoga. more from our teachers and students on "why triyoga?" The film is the vision of award-winning director, long-time friend and triyoga student of more than 15 years, Johnny Green. He has created visually stunning short films as well as adverts for the likes of Guinness, Hennessy and Under Armour. Having developed his visual flair as a production designer, he made his directorial debut with his short film for Audi in 2006. Seriously, we can’t tell you how grateful we are to him for offering to do this for us. Special thanks also to Ally McErlaine, acclaimed recording artist and guitarist with hit band Texas, for providing the music. Congratulations to our winner - Geraldine Beaugrand.